Cabarrus Helping Hearts and Hands, commonly referred to as Ch3, is a 501(c)(3) organization supported by personal contributions made by Cabarrus County employees. Formed by employees in 2004, Ch3 disperses 100 percent of funds collected to local employee-selected charitable organizations. 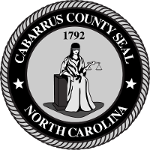 Through a special employee support fund, Cabarrus County personnel can apply for one-time crisis support for qualified events.